Congested routes and traffic will not leave you crazy hereafter, if you have the right companion to cheer up with. There is a whole world of options for commuters to listen to enhance their driving experience. New double din stereo unit from Kenwood let you relish even more with your music – be it USB compatibility, Wi-Fi and Bluetooth, improved RMS power or the all new switchable illumination. Kenwood’s Double-DIN Head Units models demand more space in the dashboard compared to Single-DIN receivers. But if you are zealous about large, touch-sensitive displays, GPS navigation and DVD playback, Double-DIN models would prove creditable to have a try at. In 2015, Kenwood has a lot to offer – DDX271, DPX300U and DDX371 to name a few. 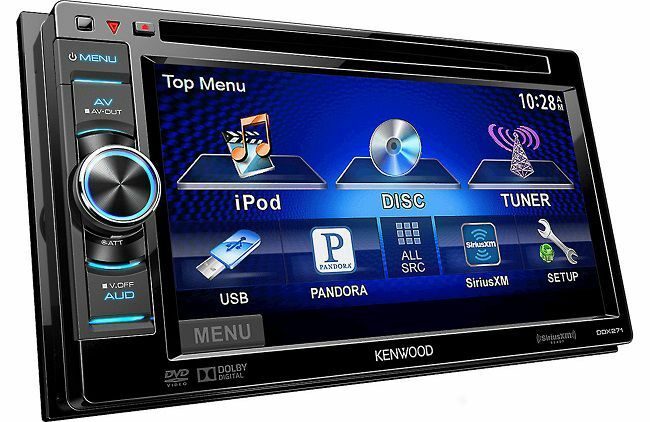 A comparative study between the leading double DIN stereo units from Kenwood is inevitable to help figure out the best option for you. There is an ocean of features offered by head unit- Some supports HD and Satellite radio tuners whereas some don’t. Some support navigation and infotainment system options like GPS, or even iPod controls, Infrared and Digital card readers. Some of the new age head units even support Theft protection, switchable illumination and steering wheel controls. 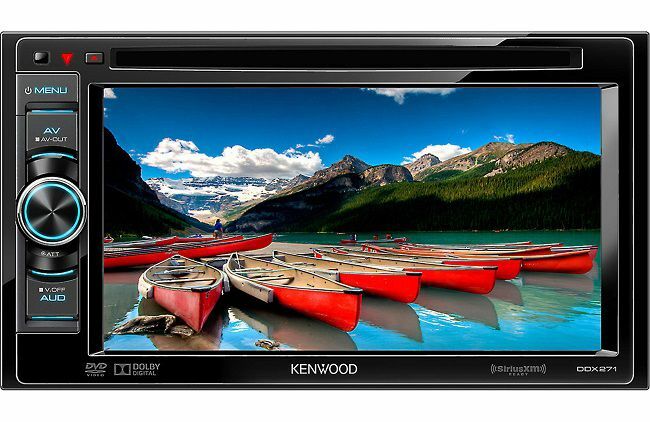 Kenwood’s DDX271 6.1” is double din stereo that fits in most cars nicely, it has great touchscreen and DVD player, and also safety features like built-in rear view camera input which eliminate blind spot. It has excellent bluetooth music streaming as well as Bluetooth hands free also USB Connectivity for iPhone, iPod & other compatible mass storage gadgets. Everything user wish to perform on the stereo head is made innate by the unique WVGA touchscreen. Pandora connectivity for iPhone offers a prolific experience for music buffs by exploiting the possibilities of customizing favorite artists. Moreover, Kenwood’s Car Stereos offers display features for Garmin “Streetpilot” navigation app in iPhone 4/4S. Incorporating SiriusXM makes it easy and economical for users to access desired channels with a single direct channel. Yet another innovative feature offered by Kenwood’s double din car stereo is the variable color illumination which lets the user to match Kenwood unit’s illumination with automobile dashboard lights. Built-in crossover system removes undesirable frequencies and guarantees high quality stereo performance. Keep your family entertained with Kenwood’s amazing touchscreen DDX271! Rear view camera input, iPhone and iPod connectivity, and a plethora of media and safety options to include DVD playback. Variable color illumination allows you to custom match the DDX271 to your vehicle’s interior lighting. 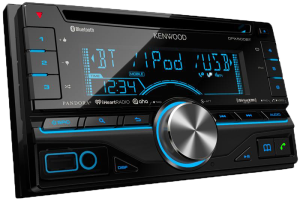 DPX300U suggests all of the audio and illumination benefits, lustrous styling, polished exterior, and a high-up control knob that offers more style for your Kenwood double din car stereo. 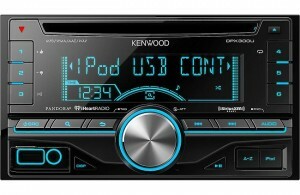 This Kenwood also backs USB Connectivity for iPhone, iPod & other compatible mass storage gadgets. Variable illumination features offer users the adeptness to accurately match the color of the Kenwood receiver to that of the dashboard and interior illumination. 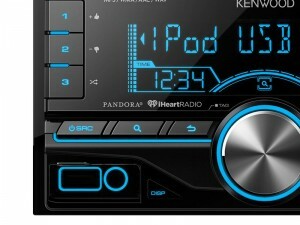 Pandora Link blends in your Kenwood double din stereo with iPhone and Pandora Internet Radio. The 14-segment LCD display displays all the information; be it- artist and track info, song names or folder which makes the display quite tempting. Moreover, there are plenty of customization features to boost the audio quality. 24-bit DAC coupled with a maximum volume of 35 leaves behind crystal-clear and seat-shaking sound waves. Satellite radio tuner renders compatibility with SiriusXM service. It also supports 18 prominent languages and comes with an OEM remote control interface. Perfect for a family vehicle, Kenwood’s great-looking DPX300U CD receiver gives you variable illumination colors, plenty of entertainment options, and user-friendly controls. And you can plug your iPod®, iPhone®, or other devices into the handy USB port and auxilliary input located on the front panel. System info shows up in extremely large font size on the display, so you’ll know what’s up with a glance. Kenwood Head Unit is all set to keep your family amused with its iPhone Siri Voice control, USB and Bluetooth. Kenwood has a 6.1 inch wide VGA unit which is quite responsive compared to its peers, and did i mention toucscreen? Kenwood Bluetooth system helps it to stand out from the competitors and enables users to receive calls from your smartphone hands-free. Variable color illumination features enable users to custom-match the DDX371 to the automobile’s interior illumination. Kenwood DDX371 also backs USB Connectivity for iPhone, iPod & other compatible mass storage gadgets. Coupled with these features, it also offers Pandora connectivity for iPhone and is Sirius XM Ready. It has the power of 50 watts per channel with four channels, which sums up to a total of 200 watts maximum. Another feature that is worth mentioning is the OEM remote control interface. Moreover, it supports multiple languages – as high as 18 prominent languages. Kenwood’s DDX371 sets a high mark for in-dash DVD receivers, offering compatibility with many iPhone® apps, comprehensive iPod® controls, and built-in Bluetooth. Its bright 6.1″ touchscreen and simple menu interface make it easy to use, so you can spend your time enjoying its many features and less time reading the manual. Getting started with Bluetooth is easy. When you connect your iPhone to the USB port, the receiver automatically recognizes the phone and sends out a pairing request. Just press a button on the DDX371’s touchscreen and you’re ready to go. Before making the final selection, you need to make sure that your automobile is compatible with the head unit. 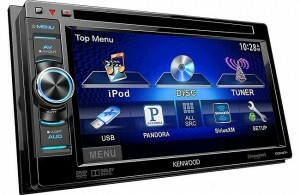 If you like to own an affordable unit with high-end audio performance, you may give Kenwood double din head unit a try. 1 What features do you want?